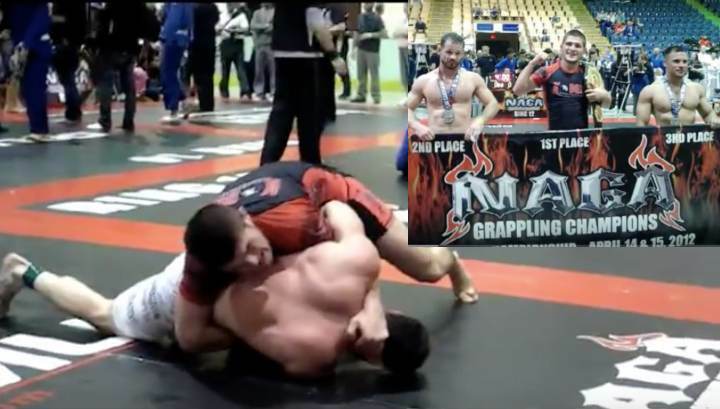 UFC lightweight champion Khabib Nurmagomedov has a world class grappling background. 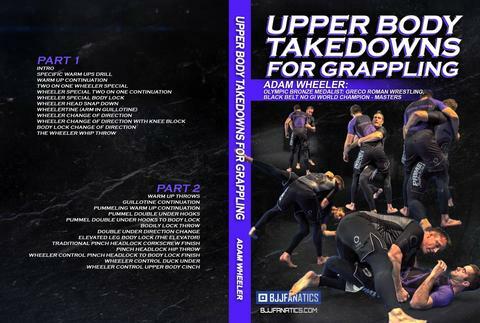 He is a two time Combat Sambo World Champion, a freestyle wrestler and a Judo black belt, and also a BJJ white belt…. Like many children in Dagestan he began wrestling from an early age; at the age of six under the tutelage of his father Abdulmanap Nurmagomedov. A decorated athlete and a veteran of the Army, his father Abdulmanap had also wrestled from an early age before training in judo and sambo in the military. In 2001, his family moved to Machachkala. There, at the age of 12, he trained in wrestling, and from age 15 he began training in judo. After turning 17, he began training in combat sambo under his father. According to Khabib, the transition from wrestling to judo was difficult, but his father wanted him to get used to competing in a gi jacket. Abdulmanap is currently a senior coach for the combat sambo national team in the Republic of Dagestan, training several athletes in sambo and wrestling in Makhachkala, Russia. Khabib would frequently get into street fights in his youth, before focusing his attention to mixed martial arts. Khabib Nurmagomedov holds a International Master of Sport in Sambo, a Black belt in Judo, a International Master of Sports in Pankration, a International Master of Sports in Army Hand-to-Hand Combat.